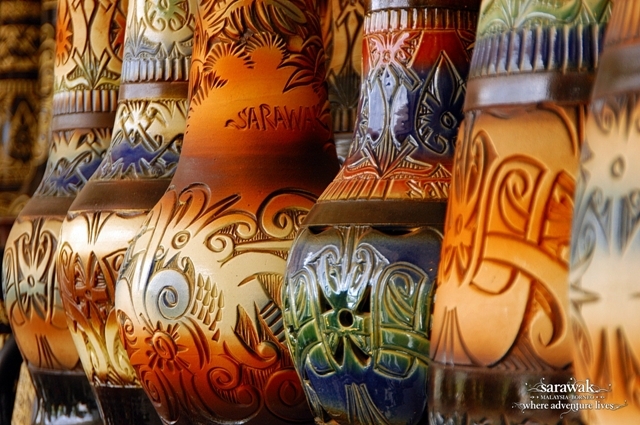 Pottery made in Sarawak is of two distinctive types – one done by the Iban, Murut and Kelabit potters and the other by Chinese potters. 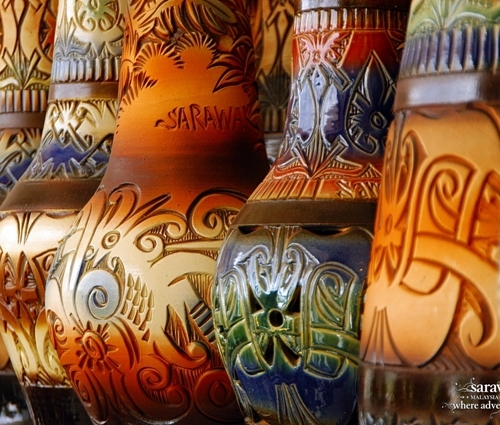 Today, the range of Sarawak’s potters have improved vastly as they create ceramic stools, drinking water cisterns, decorative jars and vases, lamps, candle holders, ashtrays, teapots, mugs and even photo frames. Attractive souvenir items are also produced, ideal for tourists and visitors. 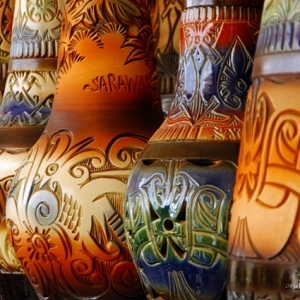 Even the locals use Sarawak pottery as gifts during official functions and special occasions. 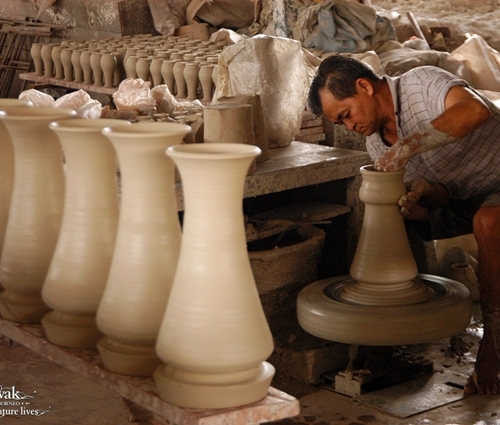 Yong Huat Heng Brick & Earthenware Factory , 5th Mile Penrissen Rd, 93250 Kuching, Sarawak. Bricks & Earthenware Factory, 5th Mile Jln. Penrissen, 93250 Kuching, Sarawak. 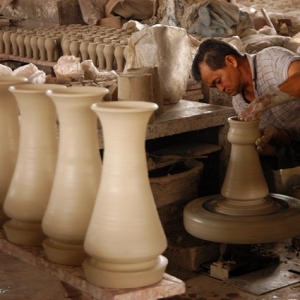 Earthenware Factory Sdn. Bhd. , 18 Lrg. Teng Kung Sui, 96000 Sibu, Sarawak. 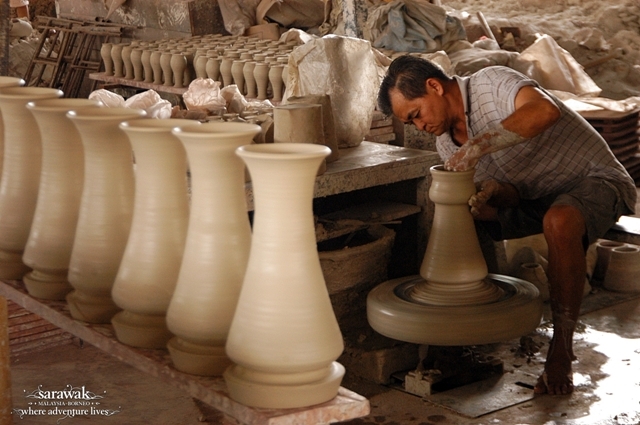 Toh Brothers Pottery, 8 ½ Mile Jln. Oya, P.O. Box 32, 96007 Sibu, Sarawak.